New bivalent hydraulic systems with a boiler have been added, in addition to the monovalent and monoenergetic systems with heat pumps and solar thermal systems. It is thus possible to simulate existing systems with a boiler, where a heat pump has been added. New plants with a boiler as a backup can also now be displayed and optimized. The mode of operation can be selected and parameterized for the simulation from a large number of possible combinations of monovalent, monoenergetic and bivalent systems with parallel, partially parallel or alternative operation. As well as heat pumps, boilers can now be selected from a comprehensive and up-to-date database of nearly 1,600 products. 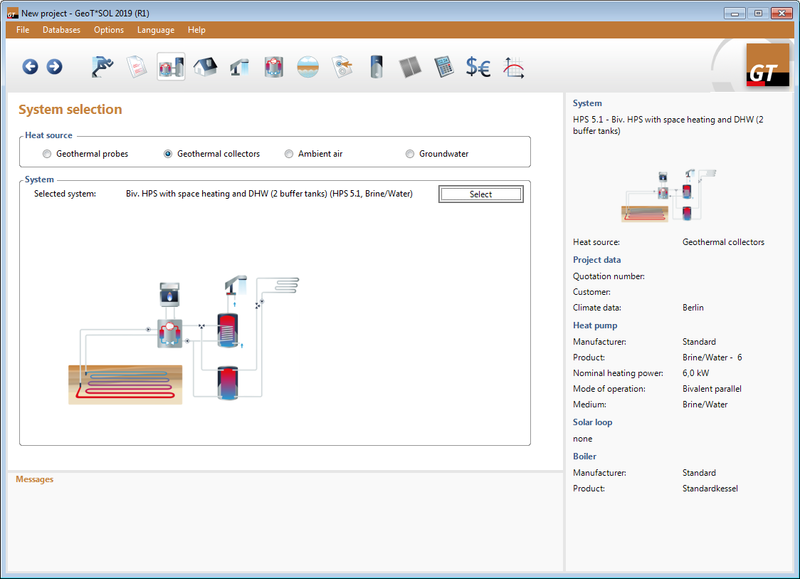 The new VDI 4650 from 2016 is mainly based on field monitoring projects from Fraunhofer ISE and thus depicts heat pump systems more realistically. New are performance-controlled heat pumps as well as solar support. From March 16, 2019, the new VDI 4650 (2016) will apply to all new applications for funding from the German Federal Office of Economics and Export Control (BAFA). This means that there is still a transition period until March 15, 2019 for applications under the old VDI Directive.